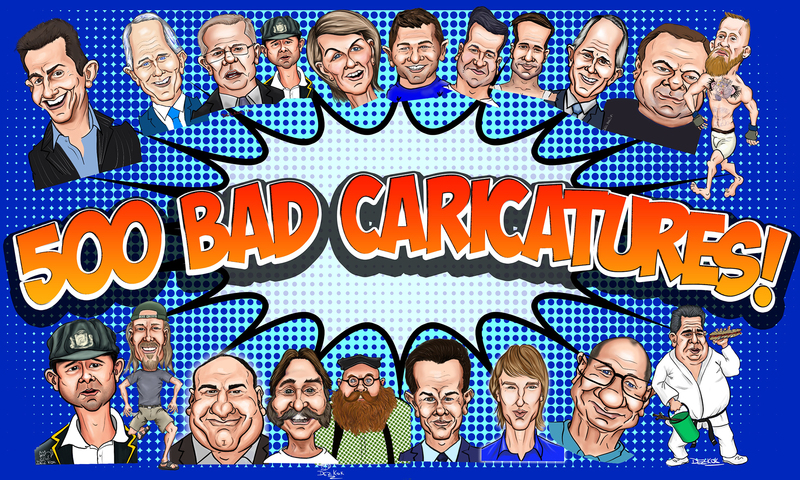 500 Bad Caricatures – New website coming soon! 500 Bad Caricatures – Updated website coming soon! We’re rebuilding out website from the ground up. Watch this space! Scarborough Queensland 4020 – not that it matters, as my work is digital. 500 Bad Caricatures – Photograph to Digital Caricature Services – Bespoke digital drawings placed into photographs for an unusual Cartoon/Real life blend.